It's not the Winter Greens with Butternut Squash Croutons. It's not the Roasted Radicchio with Balsamic Glaze. It's not the Cauliflower Purée with Garlic Chips. 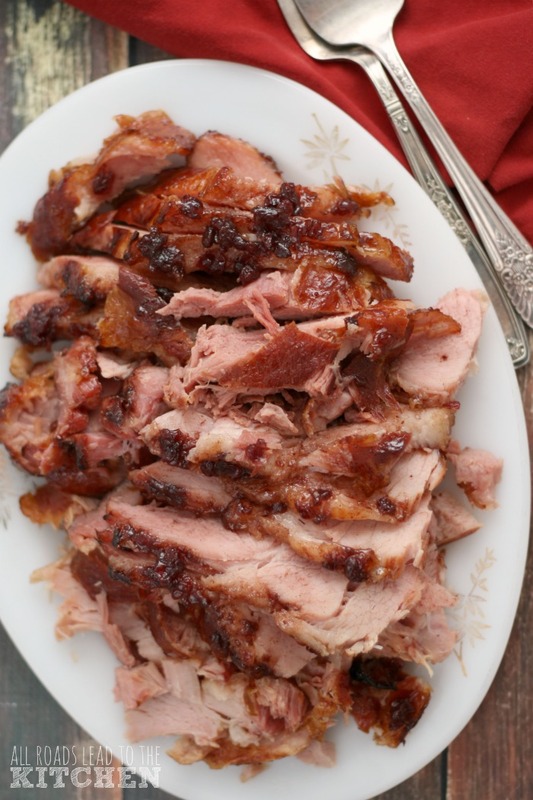 Or the Seared Duck Breasts with Port-Shallot Pan Sauce. Heck. It's not even the Almond Cream Tart with Cognac Cream. Okay. Maybe it is. It is all of those things. Recipes from The City Cook by Kate McDonough . BUT. Do you want to know what else it is? It's 'The City Pantry'. It's also "equipping" your kitchen; thinking about what your space will hold and what purpose something serves before food or equipment makes its way into your kitchen. It's the fact that she talks about cooking from "the ingredients up"...about being a smart shopper. Perhaps most of all... it's talking about how to make it all work in your kitchen. Yup. It's all of that and more...what attracted me to the new book by McDonough. You don't have to live in a big city to relate to having limited kitchen space...or to know how to use a bigger space efficiently. My favorite section of the book is actually when she talks about making everything work in YOUR kitchen...and developing your own recipe repertoire. I think that there is tons of information packed into part one. Info that will help the beginning cook and remind the experienced one. And part two...well, once I finish re-organizing...I'll be making my way through some of the recipes hanging out there. I am ecstatic to have Kate McDonough, author of The City Cook: Big City, Small Kitchen. Limitless Ingredients, No Time and The City Cook guest posting today...giving you a little sneak peak at what she knows so well! Call it Snowmageddon or just an old fashioned blizzard, a winter storm can complicate making dinner if you didn't have time to buy groceries. Yet, is there another time when having supper simmering on the stove is more appealing then when "baby it's cold outside"? It's easy if you have a well-stocked pantry. If the notion of a pantry seems a bit old-fashioned, instead think of it as strategy of planning -- and buying -- ahead. Even if your kitchen is tiny, a well-stocked cabinet, refrigerator, and freezer can mean having satisfying and special meals even if you're snowed in or the temperatures are too low to venture out. Plus a well-stocked pantry gives us flexibility. We can buy fresh produce, meat, poultry or fish and know that at home we have ingredients to turn them into dinner. A carefully stocked pantry can also save us money because by shopping in advance we can buy the best quality at the best prices. Like a favorite olive oil when it's on sale. Sometimes the pantry can generate the entire meal. For example, if your refrigerator has eggs, bacon and grated cheese, your spice drawer has oregano and red pepper flakes, and your cabinet or freezer has a container of tomato sauce, you can make "Eggs in Purgatory" for dinner. This simple but wonderfully flavorful and satisfying egg and tomato sauce combo is often compared to the popular Latin huevos rancheros. Its name is attributed to Naples, Italy, where uova al purgatorio is said to have originated. You can make your own marinara sauce by simmering a can of crushed red tomatoes and sliced garlic in olive oil for about 10 minutes. But for this dish, a jar of good-quality store-bought marinara will work just as well and reduce your dinner-making time to about 20 minutes. If your tomato sauce seems too thick, just thin it with a few tablespoons water. Make sure the sauce is really hot before adding the eggs so that the eggs begin to cook immediately. In a large sauté pan or skillet that has a cover, cook the pancetta over medium heat until the lean meat is cooked through and the fat is opaque but not brown. Add the tomato sauce, red pepper flakes, and oregano (warm the oregano between your fingers before adding). Stir to combine and bring to a gentle simmer. Add the eggs, one at a time, so that each egg settles into the sauce but isn't covered. You want the yolks to remain exposed. Cover the pan. Reduce the heat to medium-low so that the sauce gently simmers but doesn't boil. Cook until the egg whites are cooked completely but the yolks are still runny, about 5 minutes. Serve immediately with a dusting of freshly grated cheese and spears of toasted bread for dipping. Recipe from The City Cook: Big City, Small Kitchen. Limitless Ingredients, No Time. Published by Simon & Schuster. Copyright © 2010 Kate McDonough. 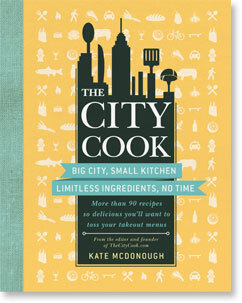 Kate McDonough is author of The City Cook: Big City, Small Kitchen. Limitless Ingredients, No Time (Simon & Schuster 2010, $20.00) and editor of TheCityCook.com, a website dedicated to home cooking in small urban kitchens. A former Wall Street business executive and a passionate urbanist, Kate attended The French Culinary Institute, has a master's degree in city planning, is a member of one of New York's prestigious Community Boards, and lives and cooks in Manhattan. *I was given a free copy of this book to review if I chose to. I received no compensation for writing a review. The thoughts stated in this post are all my own. This would be great over Polenta. Looking forward to reading this book, thanks. Seems like everyone's buying up everything in case of more snow. I love eggs in tomato sauce. Yummers!, that would be so good to sop up w/some crusty bread!. 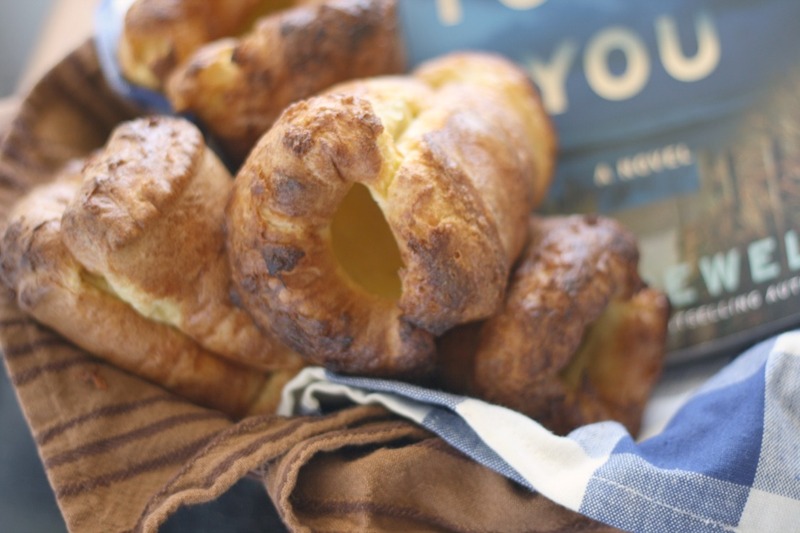 I loved reading through your honored guest's post- my pantry certainly looks creative enough to make up wholesome meals- but a book like that would inspire even more- thanks for the egg recipe- love it! This is right on time for me! I'm seriously getting into pantry cooking. Not b/c of snow though--we don't get that! The City Cook sounds like it's packed full of smart info. It's funny I am pantry cooking right now. We keep our pantry well stocked during hurricane season in case we are without power for awhile. So now is a good time to use up a lot of it before we have to get ready to do it again come June. This dish is a must try, and I really have to get this book! That looks delicious! This has been an interesting winter that is for sure, a well stocked pantry is a must. Looks delicious, I need to try this one. Whoa! Super cool. I think a lot of people feel like there's no good fresh food to stock your kitchen with during the winter but that's so not true! These eggs look delicious. There is also an EXCELLENT City Cooks PODCAST that Kate also does. iTunes is free to download, you can listen through your computer. 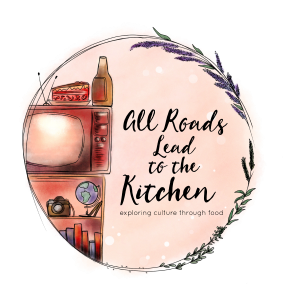 She recently did a wonderful interview with judith Jones about cooking for one that inspired me to start a series this year. I LOVE the recipe, poached eggs in Marinara sauce tastes incredible! Hey, I just listed my first ever Giveaway!!!!! Sounds like a good book, I totally depend on a well stocked pantry. And, I've got to try those Eggs in Purgatory. Sunday morning. How to stock your pantry is the best advice. Because it changes - do you stock as Asian pantry? An Italian? How big is it, etc. And eggs in purgatory - one of my favorite dishes ever. And so blissfully simple. A well stocked pantry makes so much sense. It saves time and money in the long run. 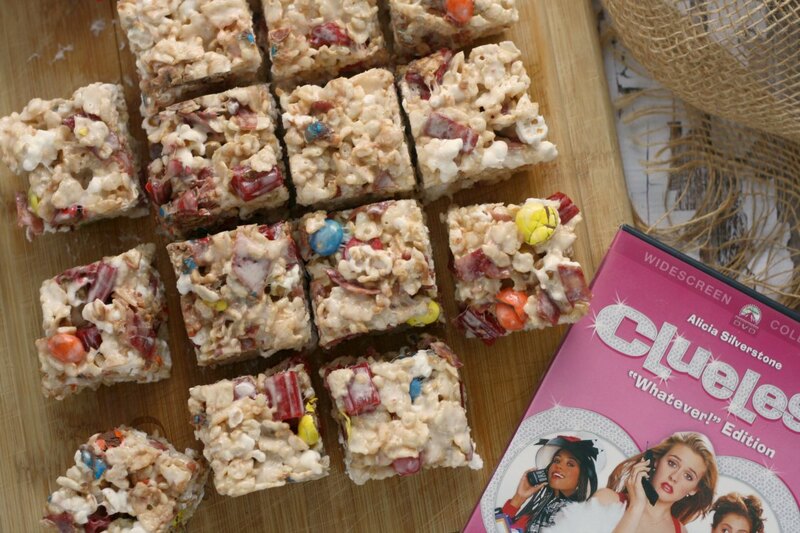 It's even better with fruits and veggies from the summer stashed in the freezer. I'm looking forward to reading the cookbook. 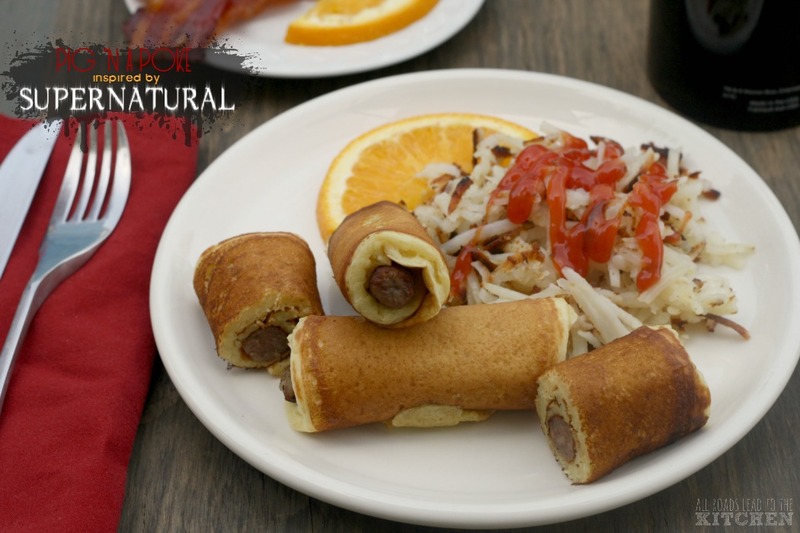 I keep running across different versions of this dish and I love it! I made a very Italian flavored one and it was so amazing! 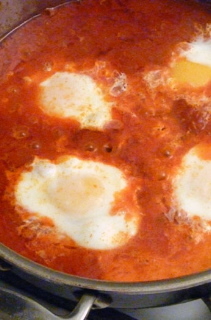 Something about eggs poaching in tomato sauce just makes magic. wonderful post! i've heard about those eggs, but i've never tried them. they look awesome! And now I know what I am having for breakfast here at Full Plate Thursday. Your Eggs Purgatory look very delicious. Thank you so much for coming today and please come back! what an interesting way to cook eggs - i love it! That would make such a perfect mid-week dinner. Maybe even this week! Looks good and I love the title. Congratulations! 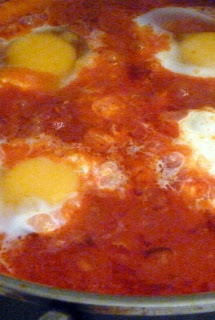 Your Eggs In Purgatory are featured on Full Plate Thursday this week 1-20-2011. I'm a fan of eggs any way and I'm sure I'd like this. Almost like huevos rancheros minus the tortillas. mmm, eggs. 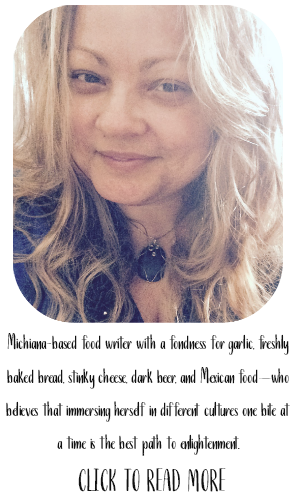 Gosh, Heather, you post the most amazing dishes with recipes. I could just devour those beautiful eggs! Oh and that sauce! Thanks for sharing on Fresh Clean and Pure Friday!